Coding skills are becoming more useful than ever in today's professional landscape, but learning how to program can often feel like a daunting task. Yet becoming a top-tier developer isn’t as scary as it sounds. In fact, learning the general concepts that apply to every programming language is the most manageable and important step of the process--regardless of whether you plan on becoming a website developer or a rocket scientist. By getting exposed to multiple languages and paradigms, you'll become more flexible at solving complex problems having to do with anything from data optimization to landing robots on distant planets. To get a comprehensive overview of several programming languages and styles, check out this course bundle. You'll be introduced to popular web frameworks like Ruby on Rails and Angular, native app development for iOS in Apple's XCode environment, as well as Version control and code sharing with Git. 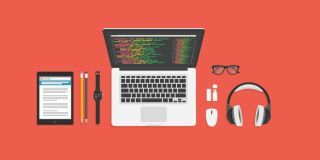 Pay what you want and beat the average price to get lifetime access to this Learn to Code 2017 Bundle. Note: This sponsored post was created by StackCommerce. The products featured do not reflect endorsements by the Space.com editorial team.